The name of our principle stream that runs for four miles through the parish is perhaps at first a little unusual. The first thought is to assume it is named after a person whose name was Kate, that seems too obvious and so we need to look elsewhere to find the answer. The main pointer to the derivation is the original field name where the Chudleigh sports centre is located, that name is Kidbrooke. This name is used by some of the older residents, the assumption being that the brook was just where 'kids played'. However Kidbrooke is is an Anglo Saxon name meaning 'the brook where the kites were seen'. It is interesting to note that there is a place by the name of Kidbrooke in the parish of Greenwich, London. It takes its name from the Kid or Kyd Brook that flows there. 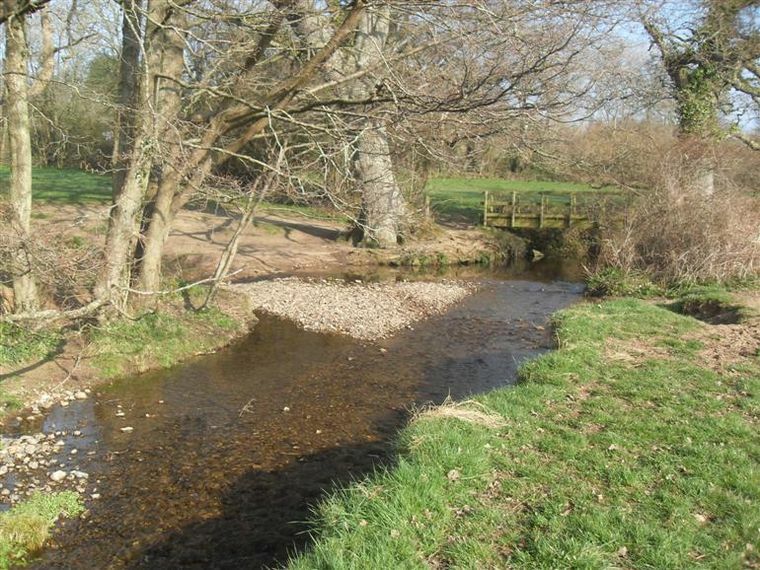 The Kate Brook has its source just beyond a place known locally as Rushy Combe on Haldon, near the A380 not far after the Telegraph Hill summit and a little to the east of Exeter Racecourse. 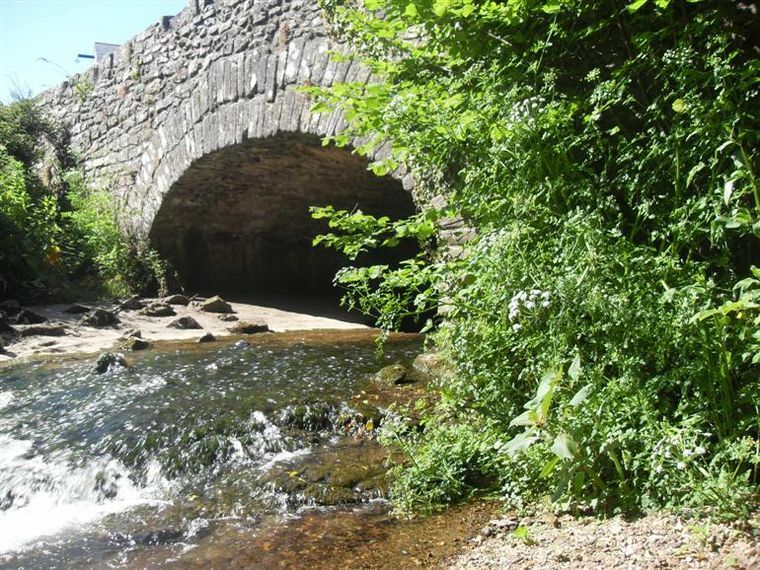 It actually rises in Kenn parish but soon crosses the boundary and for the rest of its journey remains in our parish until it flows into the Teign near Chudleigh Bridge at the southern extremity of our parish. Today it is usually a gently meandering stream unless awakened by winter storms. In its early days it was a working stream, powering a number of mills located along its mid and lower sections. 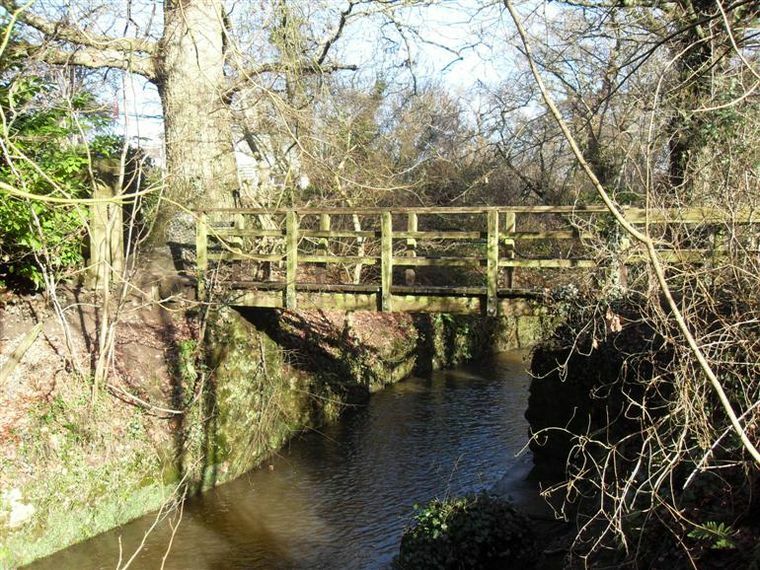 It is also responsible for cutting its way through the limestone mass known as Chudleigh Rock and thus over centuries has created a picturesque ravine complete with waterfalls. These falls can be viewed from the permissive footpath near Glen Cottage in Rock Road although the walk to view them cannot be said to be a gentle stroll! 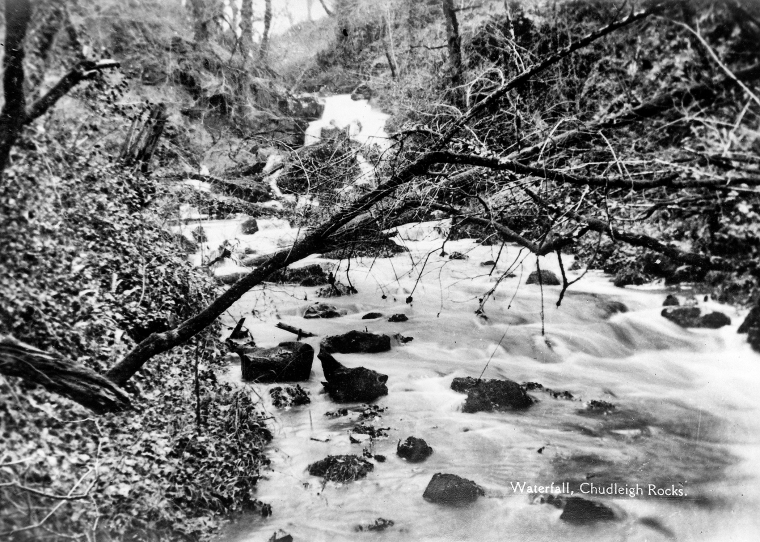 For those seeking more information the brook and its journey is revealed in more detail in the Chudleigh book.